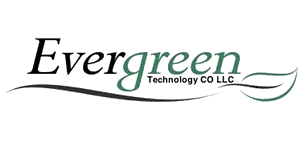 Evergreen Technology CO LLC has come up with a new dynamic way for businesses to advertise locally and affordably. We allow local businesses to command attention with everything from enticing images and animation to news and special offers for their communities. Our digital signs are visual, non-intrusive advertisements that will not disrupt your business. You will enrich your brand by bringing it to life with bright, vivid expression and instilling the credibility of technological sophistication while enjoying a higher perceived image from local viewers. Led by experienced business professionals, and supported by an expert technological team, everscreen Media Group LLC is committed to the promotion of this breakthrough advertising and communication vehicle. everscreen Media delivers world-class content utilizing the latest in advanced technology. We are currently in the process of installing Digital Displays at several venues across the North East. Our Digital Media System is a dedicated system capable of playing only the programming provided by everscreen Media. OCS, Inc. helps organizations worldwide assess, design, procure, and implement voice, data and video technology. OCS’s team of consultants provides objective in-depth expertise in telecommunications and data infrastructure, telecommunications and data architecture, contact centers, project management and telecommunications expense reduction. OCS TeleConsulting is an independent or “boutique” consultancy, a highly specialized firm that focuses on clients’ telecommuni-cations needs through a team of consultants, that averages 16 years of telecommunications experience.